One of the inevitable decisions with property investment is the trade-off between rental income and capital growth. While it’s vital that an investment is affordable, in the long-term the main benefit comes from the realisation of capital growth. When starting out as a property investor, it can be tempting to go for a high rental return. On the surface it makes sense. A consistent rental income means the mortgage is being covered, and your investment might even make a profit. And if this situation was aligned with strong capital growth, then you’d have the perfect investment. However, it’s rare for high yields and capital growth to be complementary. A high rental return often occurs in areas where capital growth and indeed long-term rental prospects are precarious. The most obvious examples of these in recent times were mining towns where boom times saw demand far outstrip supply. But booms are never forever. It’s a gamble to go for high rents if a downturn can result in a drop in house prices, an increase in rental vacancies, and a drop in rents due to diminished demand. Affordability is still a critical aspect of good investing. It’s sometimes said that the closer you are to the CBDs of Sydney and Melbourne, then the higher the capital growth of an investment is likely to be. Certainly this has been the case over the past 50 years. However, this neglects several important factors. As our case study below shows, an investment in Sydney or Melbourne is no longer affordable for many people. And even if it is, most people will be buying an apartment rather than a house. City apartment markets are more volatile than comparable markets for houses. Most of the new housing supply in Sydney or Melbourne consists of apartments. Indeed, Sydney is on the threshold of having more people living in apartments than in detached dwellings. But how many people actually choose to live in them? 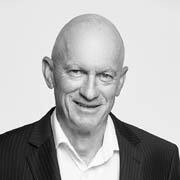 There have been apartment gluts recently in both Melbourne and Brisbane and since many of them are bought for investment purposes, this can mean not being able to let the property at the price you would like. Apartments can also prove riskier investments because you have less control over the premises. Strata body corporates can make decisions about repairs and renovations that can cost you lots of money. Some are controlled by the developers and not always for the right reasons. We think buying a newly built house or Torrens title townhouse is usually the best type of investment for long-term capital gains. For many people this means buying somewhere other than Sydney or Melbourne. Property prices are also coming off a long boom in both cities, which has led us to think that there are better opportunities elsewhere. We like Perth, where prices are starting to show signs of recovering from a slump. We also like some regional areas, particularly in Victoria where the government is spending big on incentives and transport infrastructure to grow cities like Ballarat, Bendigo and Geelong while simultaneously improving their access to Melbourne. For the price of a decent one-bedroom apartment in the centre of Sydney, for instance you could almost buy two four-bedroom 2 bathroom, double garage investment properties: one in Ballarat and one, such as the property below, in Perth. The affordability of property investing can be a lot less than you think as long as you start out with the right kind of investment. We’ve talked above how affordability can mitigate the benefits of investing in Sydney and Melbourne, traditionally the main drivers of capital growth in Australian property markets. It’s one thing to say this, but we thought it might be a good idea to provide a comparison. We’re going to assume that our hypothetical investor is on a gross annual salary of $150,000 and will lodge a tax variation with their employer so they receive the tax benefits from negative gearing every pay day. We’re also going to assume an interest rate of 4.8%. The purchase costs are based on actual stamp duty in addition to the estimated lending and legal costs for financing and purchasing the property. In the first instance, we have an existing one-bedroom apartment in the Sydney suburb of Waterloo. 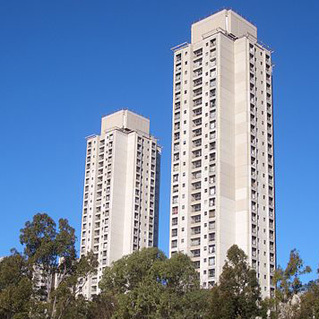 Once famous for its Housing Commission towers, Waterloo, like neighbouring Redfern, has benefitted from gentrification and its close proximity to the CBD. The apartment’s price is $760,000, and it can be rented out for $500 per week. Since it is an apartment, there are also strata fees of around $3,500 per annum to pay. We’ve done the sums and the cost after tax to our hypothetical investor is $189 per week. Our other example is a brand new 4 bedroom, 2 bathroom, double garage house in the Perth suburb of Golden Bay. As the name suggests, Golden Bay is a beachside suburb. 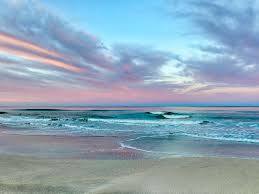 It’s situated between Perth and Mandurah to the south, which is Western Australia’s second largest city. It is 10 minutes to Mandurah and less than an hour to Perth, via the Kwinana Freeway or the Perth-Mandurah railway. With the beach in walking distance, it’s very popular with young families who like the great outdoors. We have a house and land package available for $370,825. For that our hypothetical investor gets a brand new 4-bedroom, 2 bathroom, double garage home that is ready for a tenant to move in. It’s less than half the price of the Waterloo investment. The rental return will be in the vicinity of $330 per week. So much more affordable - the cost after tax to our investor of holding this property will be only $22 per week! come and have a chat with us about how to get started today.